Tankless water heaters are efficient in part because they have lower standby losses than water heaters with tanks. They provide continuous hot water. They’re also compact, making them a good choice when space is limited. 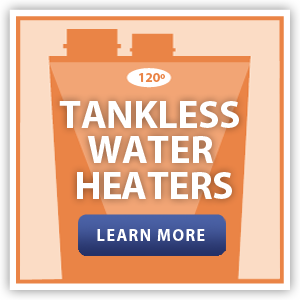 If you decide a tankless water heater is the right system for you, Efficiency Maine offers instant discounts for qualifying natural gas and propane units at participating distributors. Click here to find a participating distributor. Each year, thousands of heat pump water heaters are installed in Maine. These high-efficiency units can save more than $3,000 over the life of the unit compared to electric water heaters. Heat pump water heaters typically have 10+ year warranties. Other benefits include a heat pump water heater’s ability to dehumidify the space where it’s located. Efficiency Maine offers a $750 rebate for qualifying heat pump water heaters. 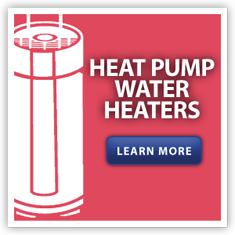 Click here for more information on heat pump water heaters and click here for rebate information. Businesses can significantly reduce water heating and water costs with the installation of smart pumps. 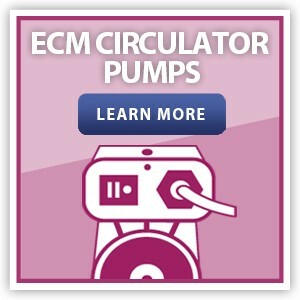 Smart pumps are hot water circulation pumps with ECM motors paired with controls to modulate circulator pump speed. Smart technology automatically aligns the pump operation with demand, resulting in lower energy use. The pump constantly circulates a small amount of hot water through the pipes from the heater to the farthest fixture and back to the heater. This results in constant hot water in distribution pipes and at the faucets, cutting wait times for hot water and reducing water waste. Efficiency Maine offers instant discounts on smart pumps at participating distributors. Click here to find a participating distributor.